Fans of London-style Chinese roast duck, rejoice! 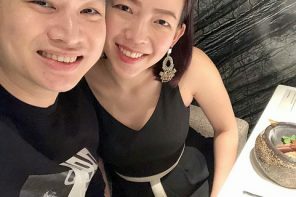 Village Roast Duck @ Bangsar Village is manned by the Choo siblings who have worked in roast duck restaurants in Bayswater, London for the past few years. 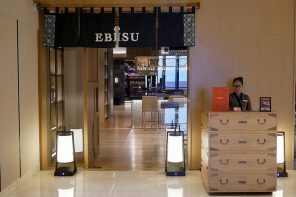 The menu features Cantonese spread of roast meats, cold dishes, whole fish, and some slightly-tweaked eats such as wasabi prawns and Peking spare ribs. 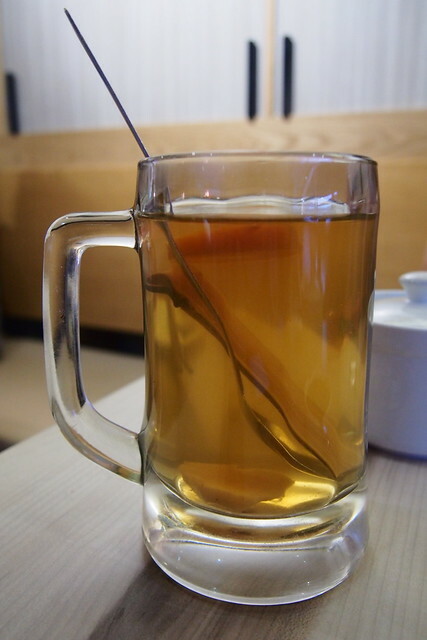 Those looking to satisfy their Chinese palate will find themselves an enjoyable meal here. We were here for dinner on a Saturday night. The restaurant was busy but service was prompt and friendly. We did not have to wait long for our food to arrive. 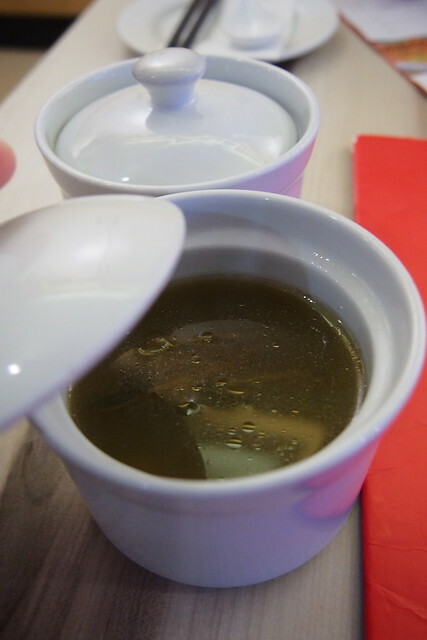 Everyone loved the complimentary soup. It was hearty, delicious and wholesome. 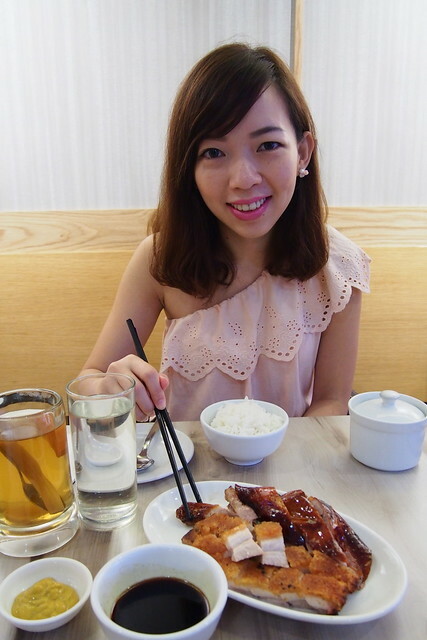 We could not resist ordering the roasted duck and roasted pork platter. The roasted duck definitely lived up to its name. 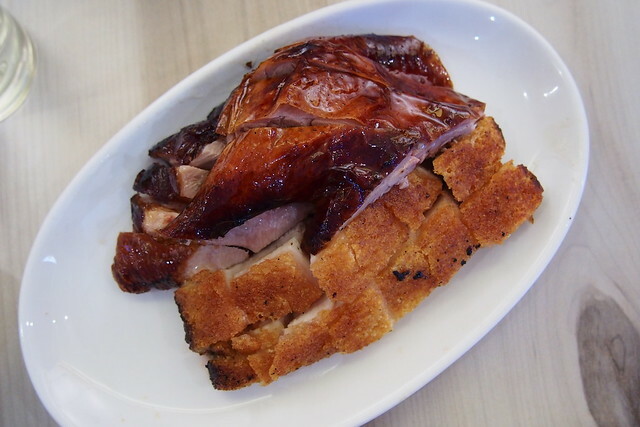 Adequately fat, the duck meat was moist and tender. The skin roasted to golden-brown perfection was crispy, thin and had a thin layer of fat underneath. We could not find fault with the roasted pork. This old-fashioned roasted pork was spotted with crispy crackling skin and almost melt-in-your-mouth meat. 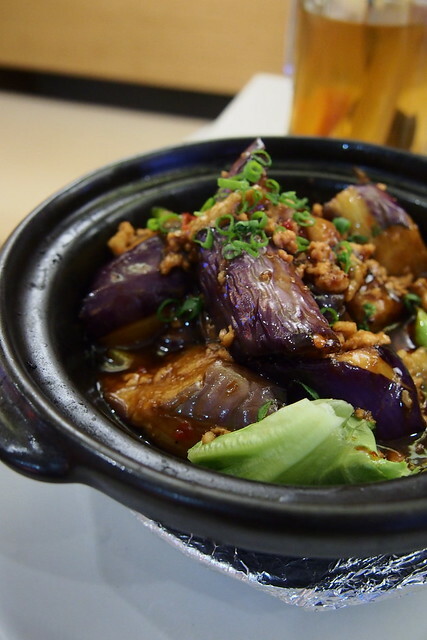 Apart from Cantonese roasts, other dishes were pretty commendable, such as this dish of stir-fried brinjal with minced chicken in claypot. The eggplant simmered in sweet and savoury gravy and was soft and silky, tender yet firm enough to hold its shape. The minced pork was also well-flavoured. 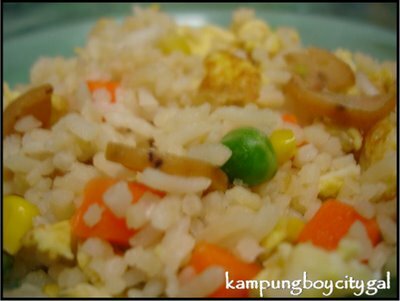 It went really well with a big bowl of steamed jasmine rice. 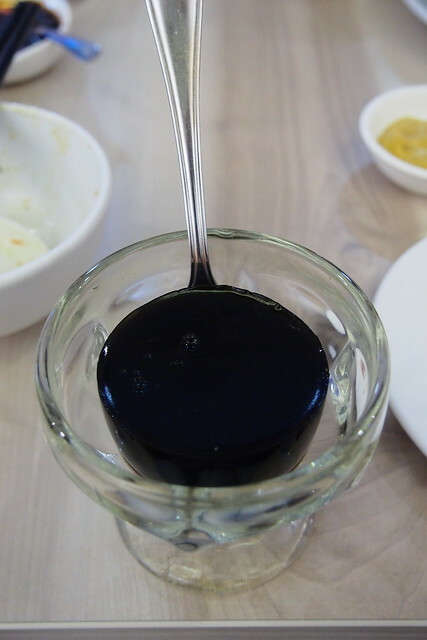 We were also given a complimentary dessert – gwai ling gou (Chinese Herbal Jelly) which was refreshing. 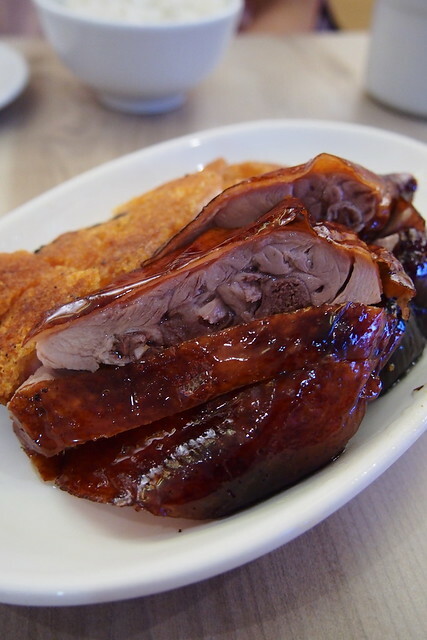 Our total bill came out to RM 60+, not cheap for KL standard but if you’re looking for the juiciest roast duck around, Village Roast Duck is a definite try-out. It’s best to call ahead to secure your duck as they often run out in the evenings. 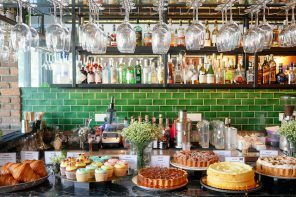 Hi I am a foreigner new to KL and gotta say I really enjoy your posts especially the foodie ones! Pls keep up the good blogs!